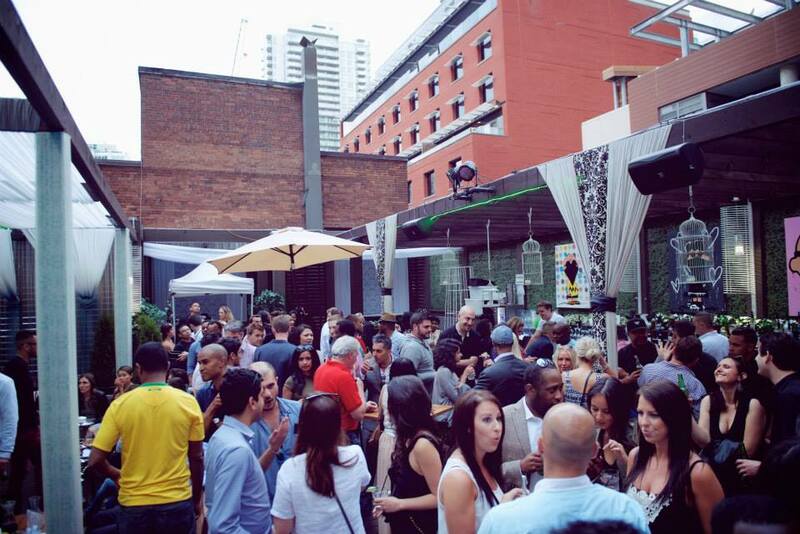 CityEvents will be hosting Schmooze, on Friday, August 25, Toronto’s best after-work rooftop patio party for one last time before summer comes to an end. The party will be on the Mercer Rooftop Terrace from 5-9 p.m. Stoli is sponsoring the event where you can get $4 drink specials and a complimentary BBQ “Pop-Up” by The Dime, while the food lasts! DJ Spence Diamonds will be playing the top hits for enjoy every last moment of the summer with us. 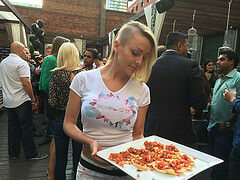 Schmooze is Toronto’s favourite after-work patio for both young and established professionals in the downtown core. Schmooze is the best way to celebrate a summer weekend! When: Friday, August 25th, 2017 from 5-9 p.m. It is almost the end of July, and you can’t wait to go on holidays, and all you want is to relax with a sweet cocktail and have fun. Well SCHMOOZE after-work is made for you! Located on the secret patio of Maison Mercer, this beautiful patio will make you feel as if you were on holidays! All you have to do is show up! You can bring your friends or coworkers! Deb and Shanny will know how to welcome all of you! But that is not all! At CityEvents we want to provide multiple social experiences this summer. Thus, we are not hosting one but three events:July 24, Aug 14 and 28th. We are waiting for you! 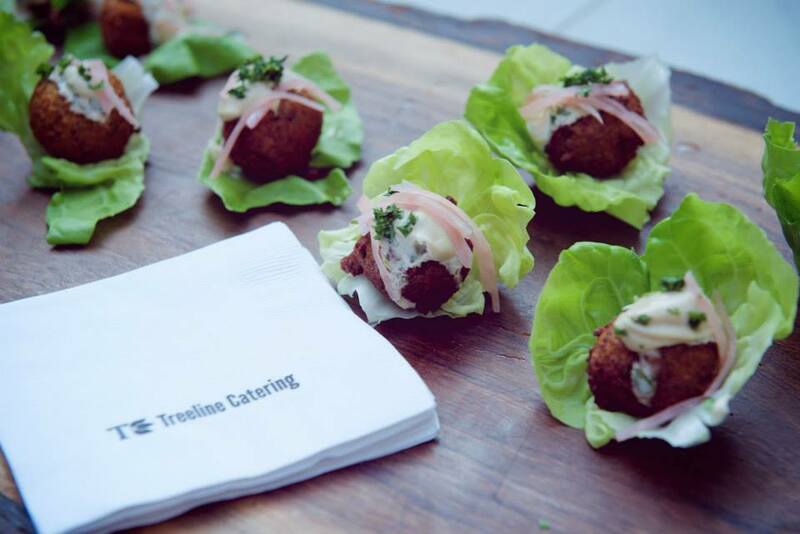 Don’t Forget the tasty complimentary barbecue courtesy of Treeline Catering until 6:30pm. The beautiful hostesses and the bar staff will serve you exceptional cocktails. And for the most ambitious, you can order a hookah and share it with your friends. The groovy music and the undeniable vibe of the place will make you feel really good. If you are still hesitating, then just come! It is free and our hostesses will welcome you well. Come rock the end of the week with CityEvents, Shanny in the City and Maison Mercer for the SCHMOOZE. I promise, you won’t regret it! On Friday August 15th Maison Mercer &Disaronno joined up for a unique edition of the Afterwork Schmooze! As usual, the After Work Schmooze was accompanied by a complimentary BBQ and happy hour drinks. People enjoyed tasty burgers, grilled corn and chicken skewers. On top of that, Disaronno – “the world’s favourite Italian liqueur” – offered free samples of Disaronno Sour and passed appetizers such as meatballs, bruschetta bites and Amaretto marinated cantaloupe wrapped in prosciutto. So the guests had the full Italian experience! A Live Jazz Band rounded off the event in a musical manner. The three musicians accompanied the first hours of the Schmooze with live music. Later on, a DJ took over. 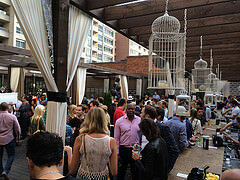 With his mix of current and classic club beats he ensured a relaxed and joyful atmosphere at the patio. Luckily, the weather was sunny that Friday so there was no need for a warm jacket even in the late hours. This After Work at Maison Mercer’s gorgeous rooftop terrace was the 3rd Schmooze that was co-hosted by Shanny in the City and CityEvents. 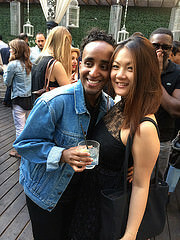 The promotion via Social Media and Word-of-Mouth made many people curious about the event as the terrace was crowded in the first few hours. Many guests and familiar faces who attended the last Schmooze evenings returned because they had a really good time and met some nice people. Many guests mentioned they liked the event due to the great terrace and how it makes you feel as if you are on a short holiday! What is a better start to your Friday than $3.50 happy hour drinks, some food and meeting people? Hanging out on the sofas or at the bar having Toronto’s skyline in the background is a great extra on top! MAISON AFTER WORK SCHMOOZE– Were you Ready for another Rendez Schmooze? The famous After Work Schmooze returned to one of Toronto’s greatest rooftop patios, hosted by CityEvents and Shanny in the City. On Friday, July 25th, Rendez Schmooze was at Maison´s rooftop deck, which provided an amazing view of the skyline. A complimentary BBQ, and cocktails returned at the Rendezvous and guess what? The atmosphere and the weather did too! Spicy chicken skewers, tasty burgers, popcorn, and a number of people enjoying cocktails under a sun of 28°C. 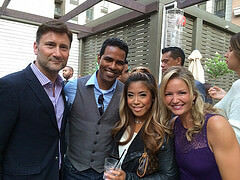 Many of the guests were on the sofas of Maison’s patio… What more do you need more for a Summer Friday Afterwork? Check out some pictures from the last event, here, so that you know what is waiting for you on August 15th! Discover or return to the venue you know and love to experience another Friday Schmooze! The Friday Schmooze Afterwork is August 15th at Maison, 5:00PM – 11:00PM.